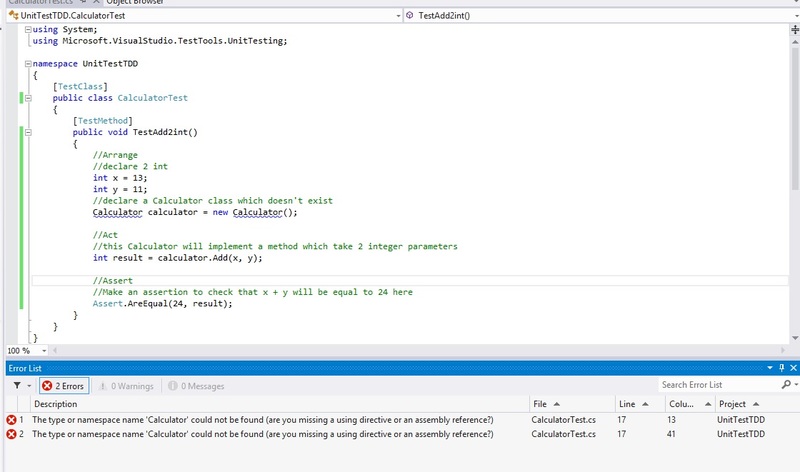 TDD is usefull to be sure of what your code is supposed to do and guaranty that your test strategy is started as soon as you start to develop. 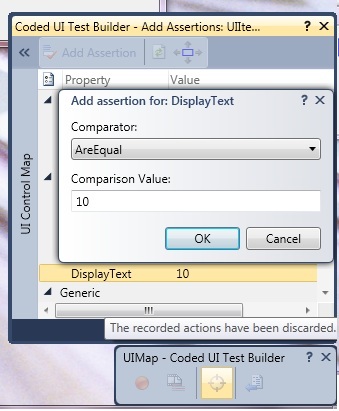 The hard work is more on correctly scoping your test on TDD ( scope at component level or integration level) because for a high level, on a similar way, we could use BDD (Behavior Design Driven at requirement/ user stories or acceptance level). 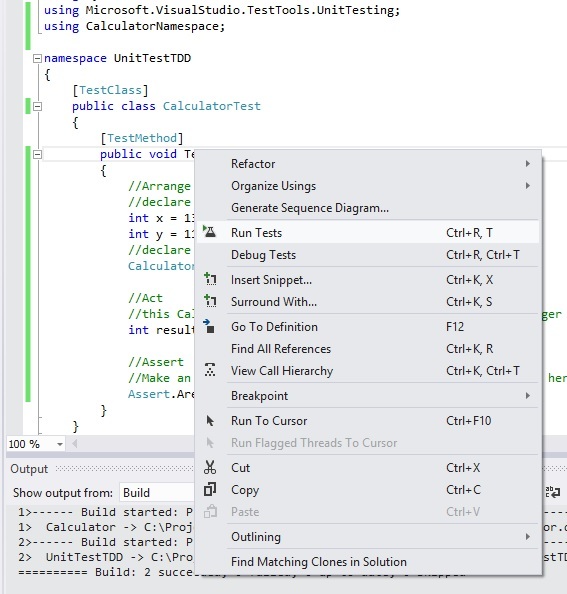 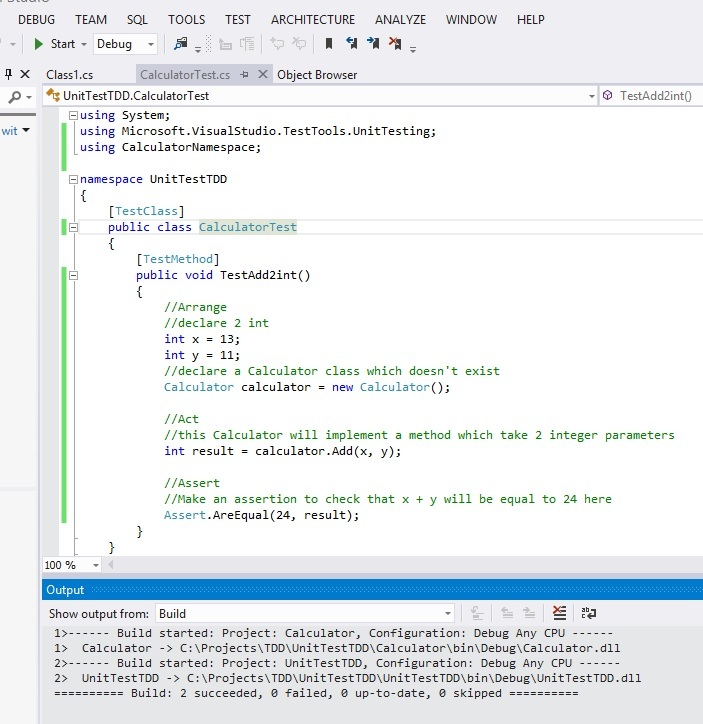 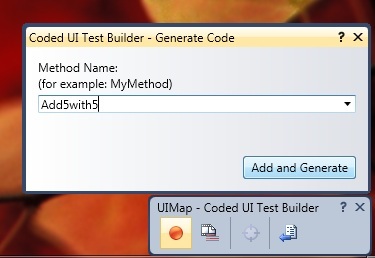 We launch mstest runner to check that our test fails because implement of business logic doesn’t exist. 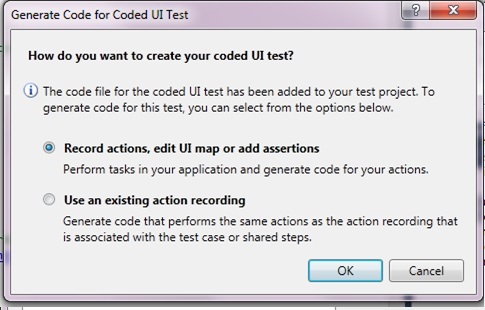 You are able to delete some record steps if there are noise on test. 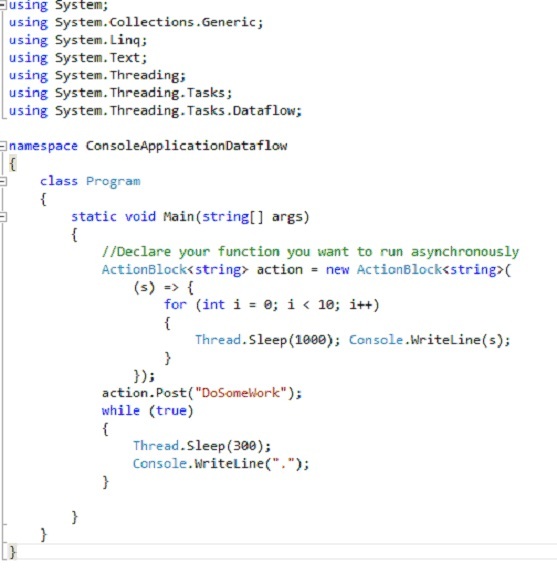 The simple block called action block allow you to define a function asynchronously. 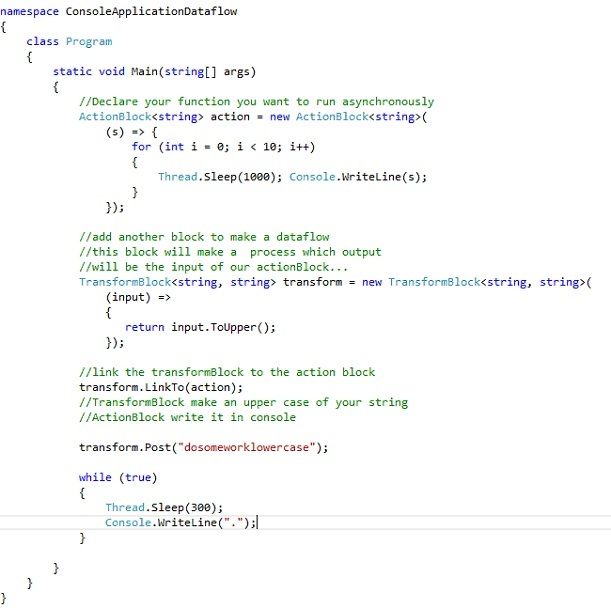 Now we will add another block to make our dataflow process.We create a TransformBlock which take a string as input and return the string in UpperCase. 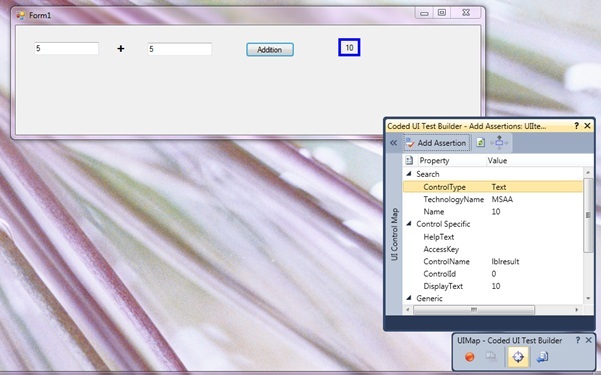 We create a simple 3 Layered architecture application with presentation layer for GUI, business Layer to do our business process and Data Access Layer to get our data from different source. 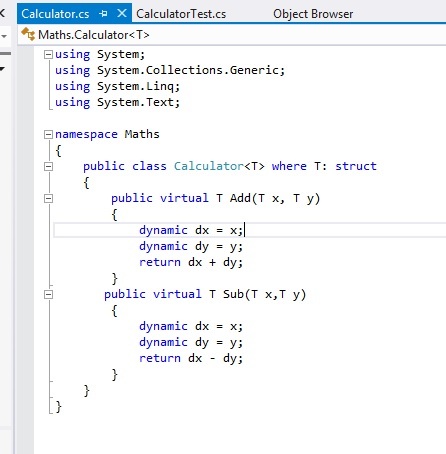 The purpose is to check that each layer call the layer below and if not a tool (here architecture diagram ) can detect that someone doesn’t follow architecture rules. 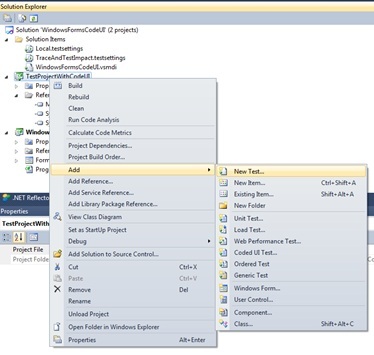 we see that Presentation Layer calls business which calls DataLayer. 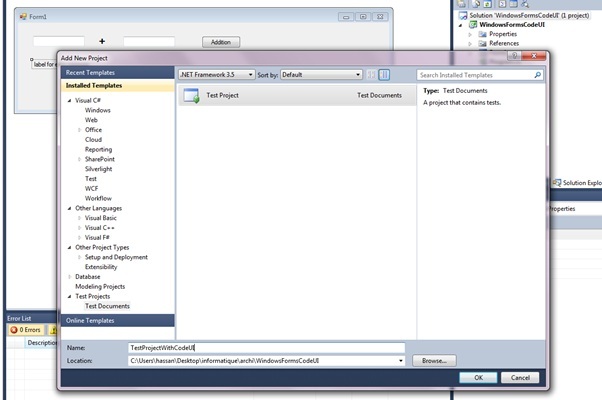 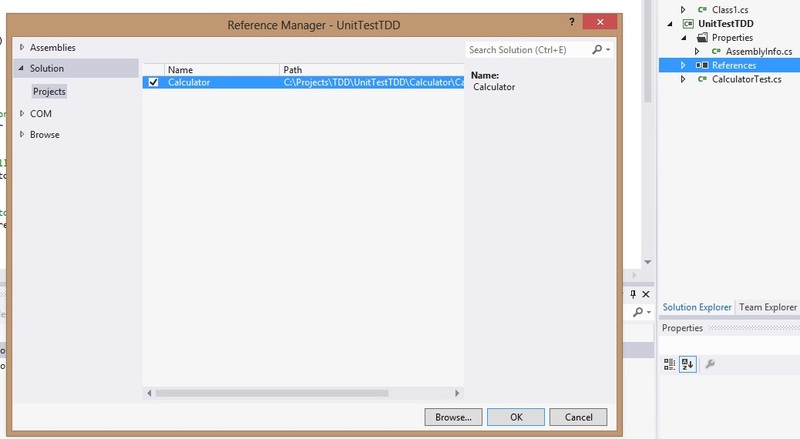 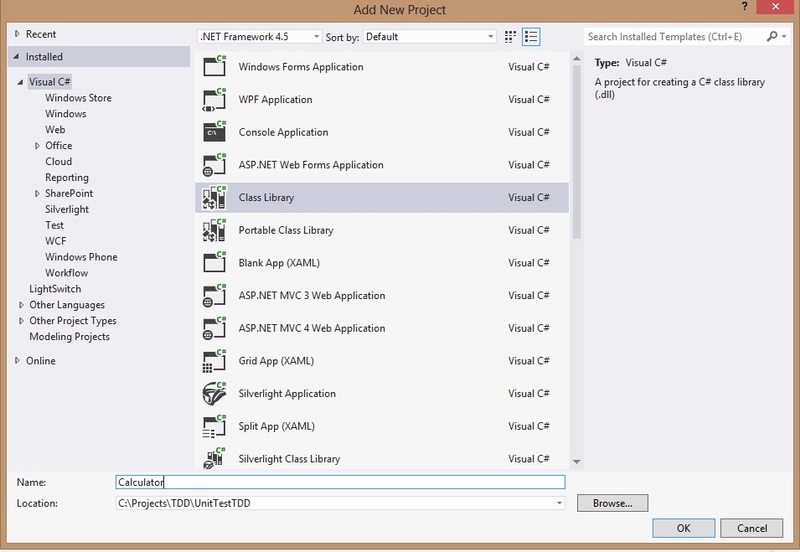 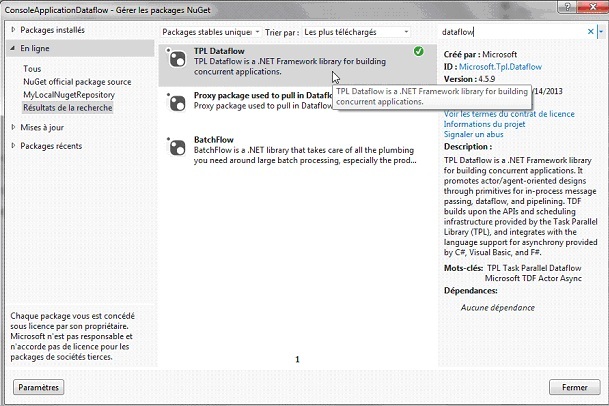 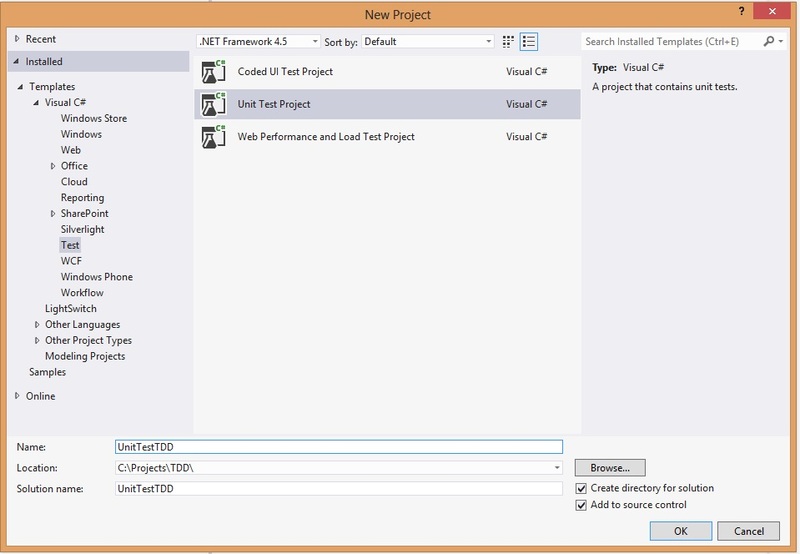 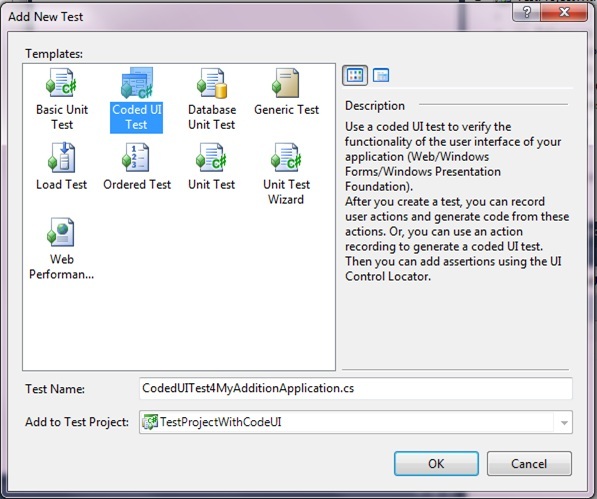 In this article, we will create a simple application using Entity Framework 5.0 with Code First approach. 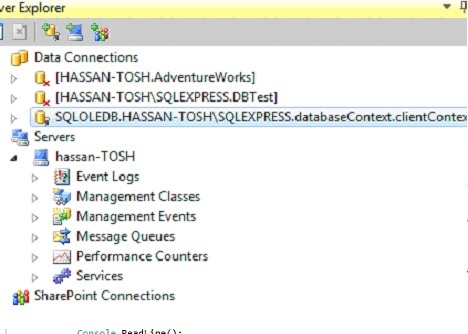 This approach is used when you want to create a database model from your application model. 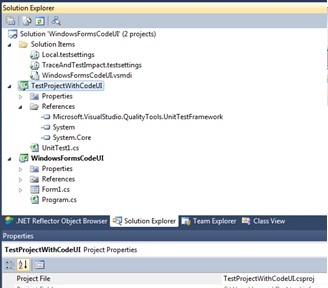 Entity Framework is the ORM (Object Relationnal Mapping) in Microsoft Technologies. 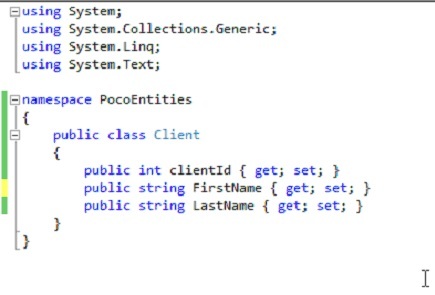 this is a POCO class because it doesn’t have an ORM depedency. 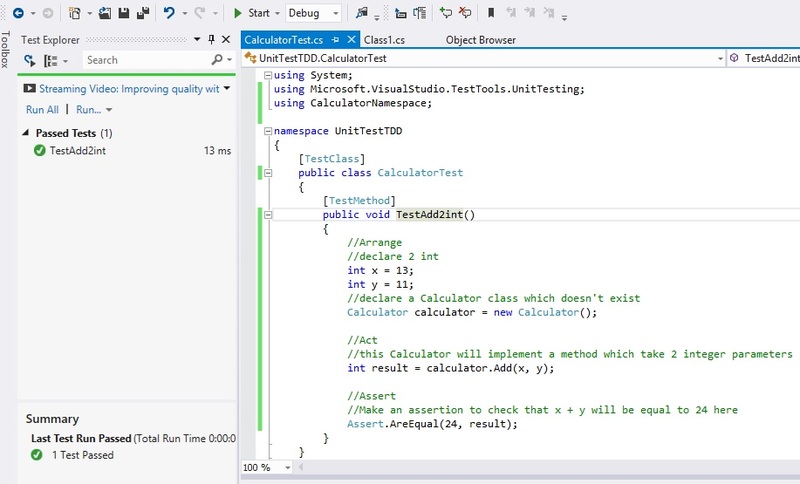 ClientContext inherits from DbContext and we use DbSet to wrap our POCO class. 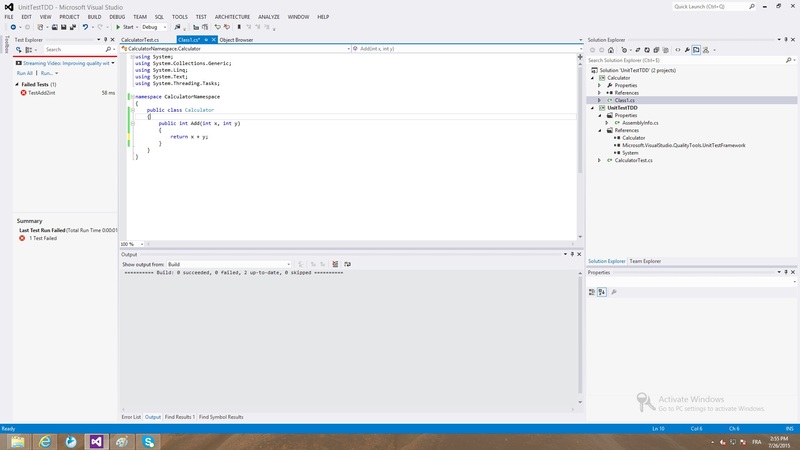 It allows us to not have a dependency between class and ORM technologies. 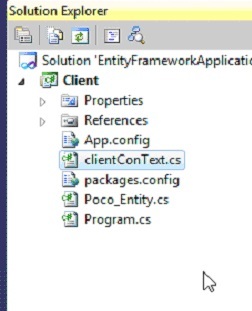 So ClientContext wrap a client collection. 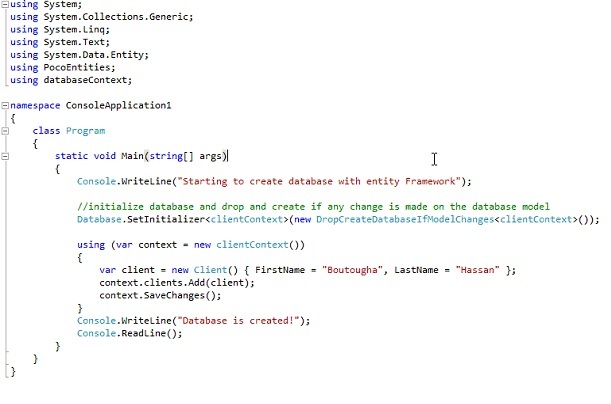 Here, we first initialize the target database and indicate that each time the framework will drop and create database (only in development cycle;-). 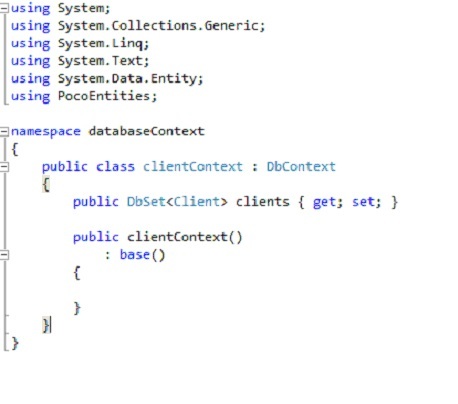 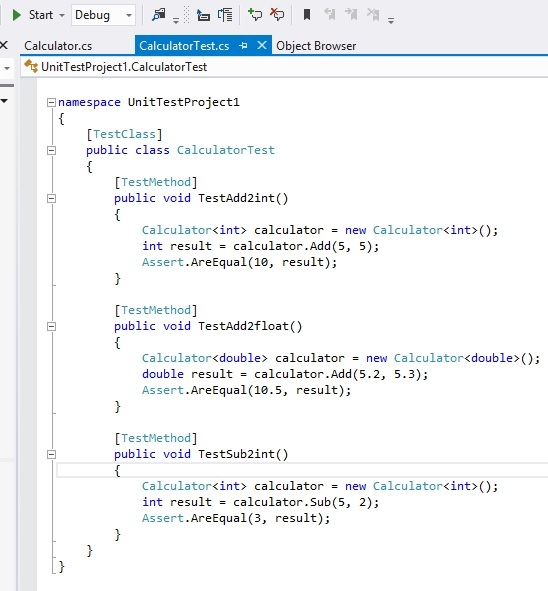 Secondly, we instantiate a ClientContext which allows us to manage our POCO class in clients collection (our DbSet property) to persist it in the target database. 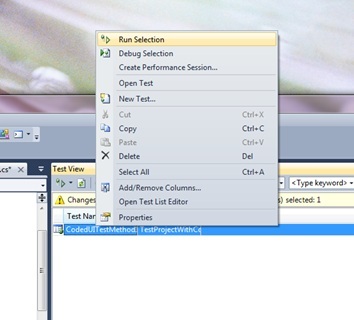 And finally, we call SaveChanges in order to create the database and record the client created in a table (client table). 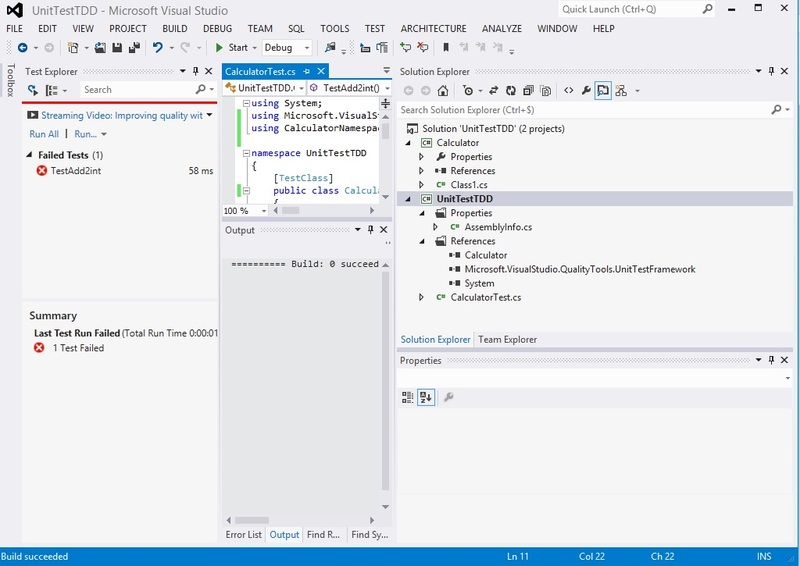 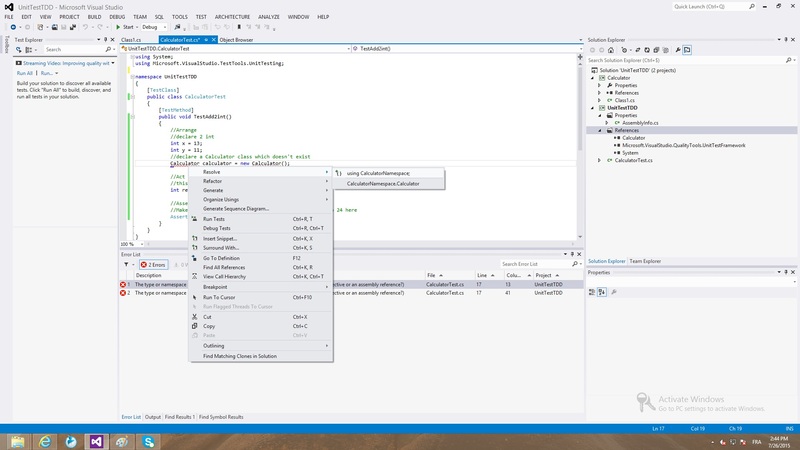 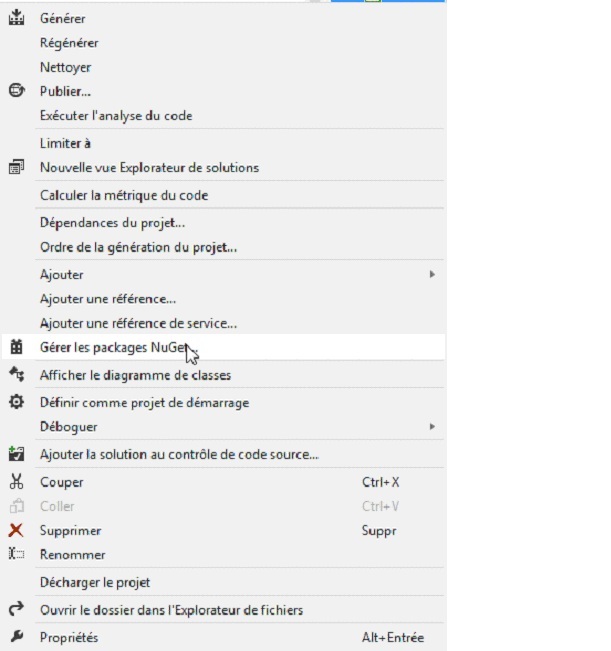 you have also other approach: Database first ( you create entities code from an existing database ) and model first (you create class diagram in visual studio and Entity create database for you). 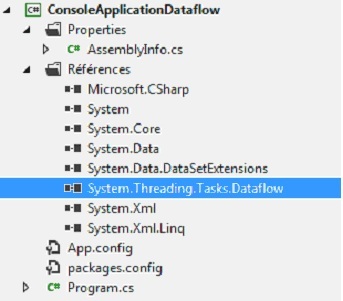 Multithreading with ThreadPool How many thread to use in a computer ? 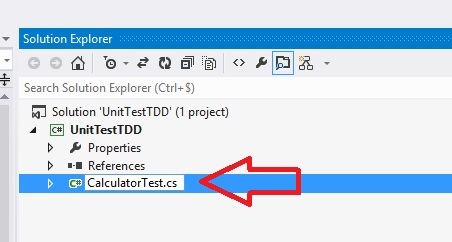 In this article, I give a sample console application with a task contained a Sleep of ten second ( like a process that take ten second 😉 to simulate an application with 200 task of ten second. 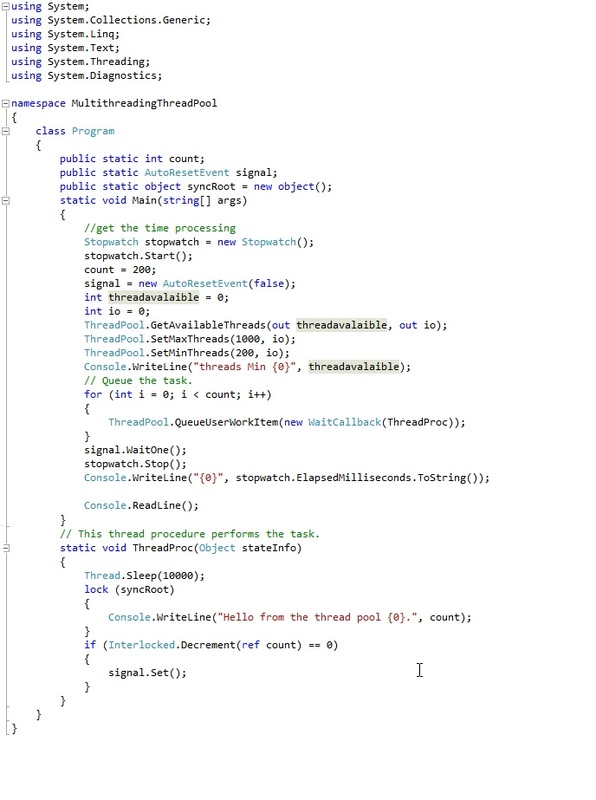 ThreadPool is a class that allows you to create task which are queuing and executing by the ThreadPool. 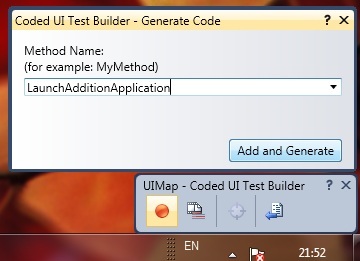 It is better to use it than creating yourself all the plumbing of the management of thread ( I believe that Microsoft engineer work well ;-). 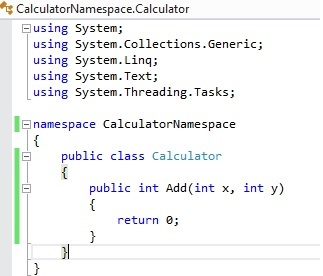 I use a 8 cpu computer so in my ThreadPool when I call GetMinThreads it return 8 thread (one by CPU). 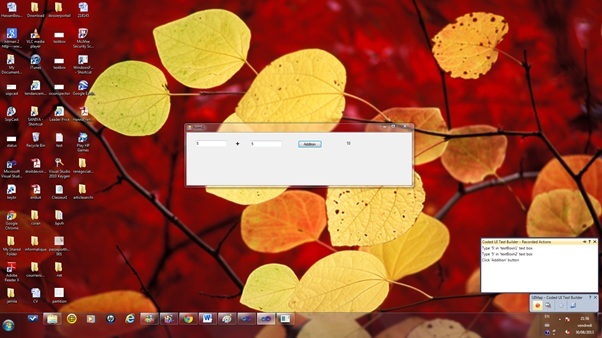 The application launch 200 task that wait 10 second. 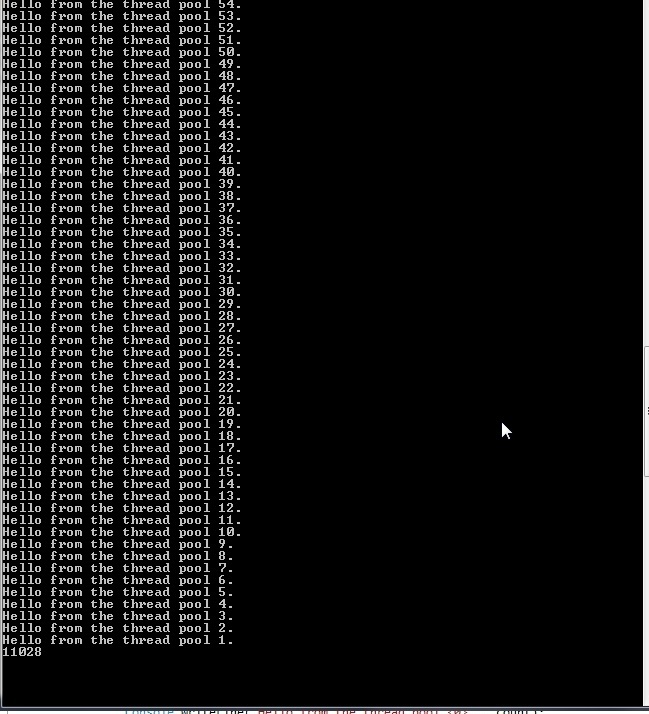 Now the application spend more time although we respect the rule : 1 thread by CPU, we have 8 CPU so we use 8 threads 😉 Now it take 67 seconds (67011ms)! 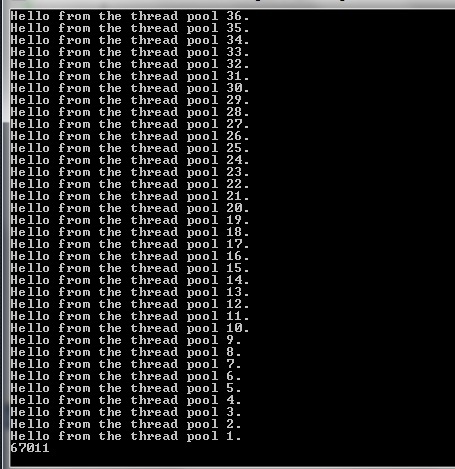 you can observe that the ThreadPool has created new thread (more than 8) step by step which explains that application run on 67seconds and not on 200/8 x 10 seconds that is 250seconds. 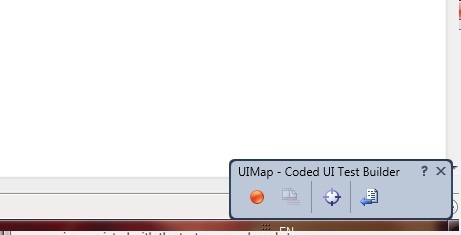 Don’t forget that you can set min and max thread so the ThreadPool can add or remove thread to execute all tasks.